All Ports International Logistics is totally Australian-owned, providing a full and comprehensive range of services in the Freight Forwarding and Customs Brokerage field. We are a young and dynamic industry leader with a unique and special combination of skills and experience backed by the latest software and technology. All Ports International Logistics is staffed by an energetic team with a great balance of youthful ambition and experienced professionalism. Our collection of fully qualified Customs Brokers and consultants has combined experience and expertise across a wide range of industries. We provide services to clients in almost all industry sectors in all aspects of logistics management. 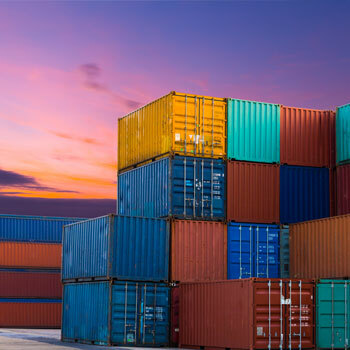 In addition to handling all forms of material transportation services, we also provide high-level consultancy in all aspects of trade regulation. Utilising our worldwide network of offices and agents we are fully capable of handling the international movement of your cargo, all the way from the supplier’s warehouse to your door, anywhere in Australia. ....Reliability, Honesty, Accuracy, Close Communication and Commitment! Every major port, both air and sea, within Australia is serviced by our central office in Melbourne, and we will happily work with importers and exporters of any size, from ‘one-off’ single consignments through to high-volume multi-national corporations. We also specialise in handling full door to door consignments to third country destinations, co-ordinating all movements from our office right here in Melbourne. Our long established and specialised processes & procedures deliver a simplified process providing a single point of contact for our clients on both national and global levels. Our independent overseas representatives are appointed only after careful screening to ensure our policy standards are not compromised. This ensures total satisfaction to our consignees and shippers and builds strong long-term business relationships with our clientele, wherever they are based. Our service standards are of paramount importance for the ongoing satisfaction of all our business partners and clients. As such, we welcome and appreciate recommendations from clients and potential clients regarding the development of specific services to suit your need. All Ports International Logistics, Melbourne, ABN 85 080 887 190 has no formal or legal affiliations or association what so ever with any other company/s with same or like names within Australia or Overseas ~ We are a totally independent legal entity.